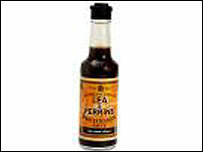 A campaign is under way to secure protected status for Worcestershire Sauce after the Sudan I food scare. Maker Lea & Perrins hopes to lobby the European Commission on the issue. Rivals Premier Foods stopped selling its Worcester Sauce after chilli powder with potential cancer-causing dye was found among the ingredients. 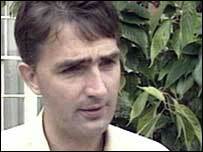 Worcester Labour MP Michael Foster is to ask the government to support Lea & Perrins in its bid to protect its product from imitations. He said he would be writing to the Department for Environment, Food and Rural Affairs (Defra). Mr Foster said: "Given what has happened recently, it is an issue that is high on people's agenda - how do we ensure the quality of the food we eat? "If the French can protect their champagne, we should be able to protect our sauce. "This is an important step to keep it safe from unfair competition and to give consumers confidence in the quality of what they buy." The MP is pushing for "protected geographical status"
Last week, food producers in Leicestershire won support from Defra for their application to protect Melton Mowbray pork pies from imitation. Mr Foster says he will explore how the European Union (EU) can grant "protected geographical status" for the sauce, in the same way as Welsh lamb and Parma ham are already protected. The MP said: "I also understand Cornwall want their pasties, Cumberland their sausages and Yorkshire their rhubarb all given EU protection. "So let's make sure our sauce is treated the same way." The European Commission has six months to reach a decision once an application is submitted. There is then another six-month period during which further objections can be lodged.